The biotech industry has been on a tear in 2019, up 25% through the first two months of the year. That’s great. But niche gene therapy stocks are performing even better. The rally has been fueled by a strong combination of merger announcements, positive news from the FDA and the continued development of breakthrough therapies. Headlines have been popping up nonstop over the last week, and today I’d like to recap some of the highlights. Spark Therapeutics (NASDAQ:ONCE), a small-cap biotech that focuses on gene therapies, was purchased by pharmaceutical giant Roche (OTCMKTS:RHHBY). On a per-share basis, the $4.8 billion purchase price equated to $114.50 — a huge 122% premium over ONCE’s previous close. Spark investors are now looking at 190% gains in 2019 alone. The same day, CRISPR Therapeutics (NASDAQ:CRSP) announced that human trials had begun for its CTX001 gene therapy drug. A patient suffering from beta-thalassemia had been dosed. And in just a few months, the same drug is expected to be tested on patients with sickle cell disease. CTX001, which is based on the CRISPR/Cas9 gene editing technique, is currently undergoing Phase I/II trials. Typically, the first dose in such a trial would not be a headline. But this was the first time that CRISPR technology had ever been used on a human. The news sent CRSP up more than 20%. A few days later, gene therapy stock Sarepta Therapeutics (NASDAQ:SRPT) released impressive results for its muscular dystrophy drug. And in the same press release it announced the $165 million purchase of privately-held gene therapy company Myonexus. The stock rallied on the news and is now up 34% so far this year. But even with the acquisition news, SRPT has long been rumored as a takeover target for larger pharmaceutical companies. Finally, micro-cap gene therapy stock MeiraGTx Holdings (NASDAQ:MGTX) announced an $80 million private placement. This is important because its lead investor is the private arm of Johnson & Johnson (NYSE:JNJ). MeiraGTx is already up a whopping 67% in 2019. There is absolutely no question that there is money to be made in the gene therapy stocks over the long term. However, because the sector is still in its infancy, we have to expect increased volatility. What we’re seeing now is a very strong upswing. Gene therapy is on track to save countless lives. It’s also on track to make you life-changing profits as long as you can weather the ups and downs that are simply the nature of early-stage mega-trends. 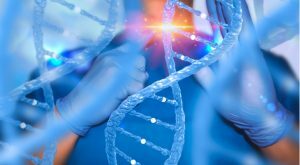 Article printed from InvestorPlace Media, https://investorplace.com/2019/03/why-now-is-the-time-to-buy-gene-therapy-stocks/.